Ripe plantains fried once (Nigerian delicacy: Dodo) are amazing then I recently discovered that frying them twice makes them double amazing! The internet has been buzzing about Latin American delicacy: twice fried unripe plantains but as a dodo lover, I had to try it with ripe plantains. 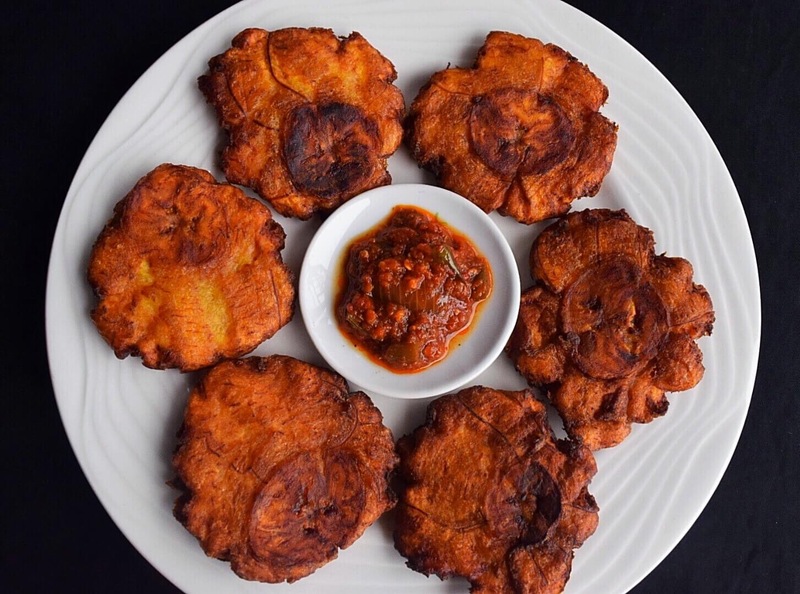 It is super easy to make and adds some crunch to the regular dodo, imagine a juicier form of plantain chips. I can’t wait to remake this Gizdodo with them. Yummy with eggs….yummier with jollof rice….yummiest on it’s own as a snack….. I prefer ripe plantain. Even tastier once the skin turns black.